Always check with your insurance agent: car rental insurance may or may not be your best option. After a long trip to your desired destination, the last thing you want to be doing is filling out more forms. 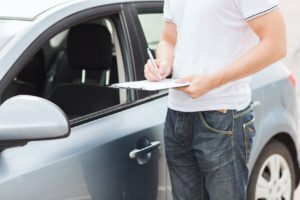 Without thinking, you probably accepted the car rental insurance that is provided at the time you sign-off on your rental car only to find out that you’ve been driving with two identical insurance policies. Know if rental car insurance is something that you need when you begin your deserved vacation. What it does: If the rental car is damaged or stolen, this provides you with the coverage that you need. You may not need it if: Your auto insurance policy has comprehensive and collision coverage. What it does: This kind of protection offers additional liability protection if the accident is determined to be your fault, and the other party files a claim against you for bodily injuries and damages that exceed your regular policy limits. You may not need it if: Your liability insurance is adequate to cover your assets. Supplemental liability is basically a form of umbrella insurance that covers you for things beyond your auto insurance policy. What it does: Covers your injuries while you’re driving that rental car. You may not need it if: You already have health insurance, or have adequate medical coverage through your existing car insurance. What it does: Provides coverage for your items that were damaged or destroyed while you were driving the rental. You may not need it if: You have homeowners or renters insurance (you may, however, need to pay a deductible. Rental car insurance may not be something that you necessarily need if your existing insurance policies can cover you for rental car accidents. For all your auto insurance coverage needs, contact Pierce Insurance Group. As an independent insurance agency in McKinney, TX, we will work with you to make sure you have the right amount of protection to meet the needs of your family, all at the right price for your budget.